In preparation for the imminent public listing of its stock, NCB needed to roll-out its new brand to more than 400 branches Kingdomwide in less than one week. And had to make sure each of the new brand applications was compliant with the new guidelines. The scope of work inside each branch included fixture installation, marketing material display, hardware installation and more than 50 complex tasks altogether. A team of expert technicians accompanied by 4C Quality Inspectors worked in tandem to accomplish the impossible. While the work was going on, 4C’s QI were capturing live data to report the progress and the status of each and every task, inside each and every branch. 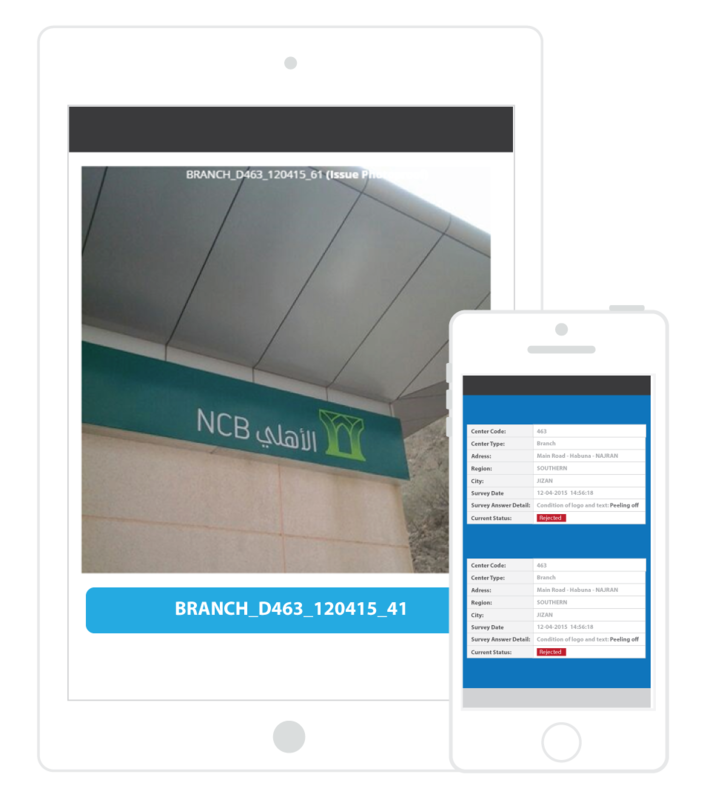 Client was able to get a real-time snapshot of the campaign, and drill down to the smallest detail, at the push of a button, for each and every branch, and each and every task. An integrated incident management was customized to put the vendors on the loop who were receiving instant notifications for every problem reported, for same time action. Third party vendors can report vial LOOP same time photoproofs to evidence of problems resolved. A end-to-end turnkey solution to minimise risk and maximise success.